This year’s contest runs until 5 p.m. on Feb. 28. 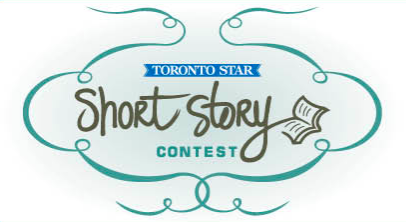 The winner will receive $5,000 and a creative writing course from The Humber School for Writers. The second-place winner will take home a $2,000 prize, while third place will be awarded $1,000. The winner can choose a 30-week creative writing correspondence program, valued at $3,000, at Humber, or a week-long summer workshop, worth $1,000, at the college’s Lakeshore campus in Toronto. Stories can be about any topic the entrant chooses, as long as it’s original, unpublished, and amounts to less than 2,500 words. Entries are limited to one per person. Submissions will be judged by a panel of the Humber School for Writers and narrowed down to a short list. The three winners will then be selected from that list by city librarian Vickery Bowles, award-winning author and journalist Kamal Al-Solaylee, Toronto Star books editor Deborah Dundas, and the Star’s former theatre critic Richard Ouzounian. You must be 16 years old to enter. If you’re not 16 this year, plan ahead for next year or the year after.